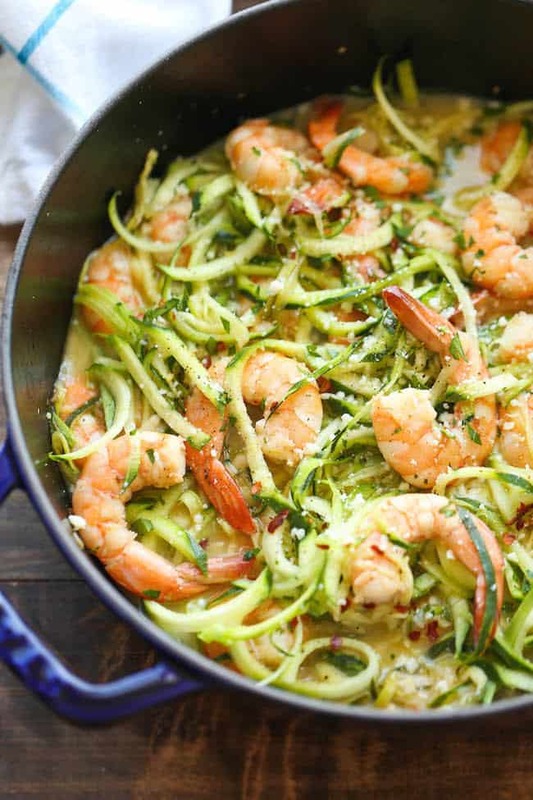 These delicious and savory low carb recipes will have you forget what carbs even taste like! It can be really tough to cut out carbs from your diet. They are all around you, all the time. When you consciously make the decision to cut out carbs or switch to a low carb diet, it actually becomes pretty simple. Just like when you make something habit, start small and manageable. You do not need to cut carbs cold turkey. Find ways to lower carb intake and make a better substitution. Then, as it becomes a habit you will subconsciously be doing it for every meal. Make sure you pin the BONUS at the end! What are some alternatives you use to cut down on carbs? Follow us on Pinterest to see other great low carb recipes! Taco salad is a favorite in our house. So many southwest flavors mixed together, yum! This taco salad is picture perfect. 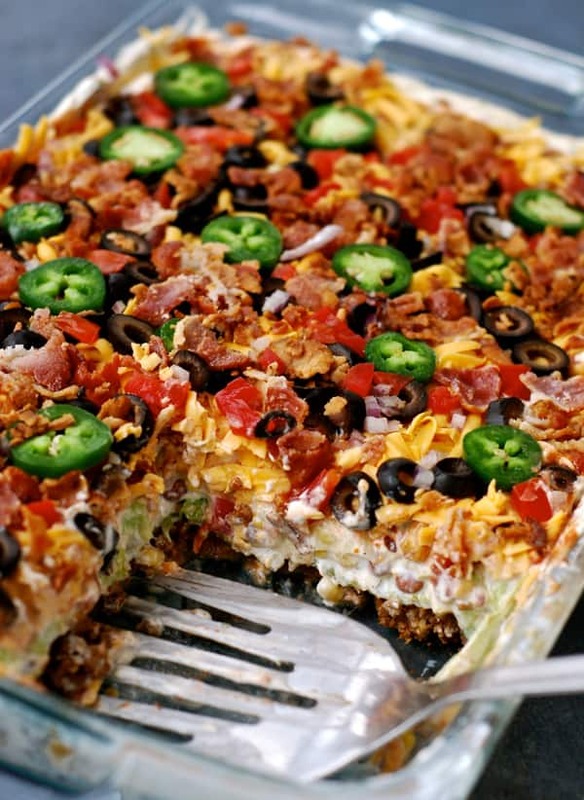 It is also made in a baking pan so it is perfect to bring a low carb recipe to a get-together and share the wealth. 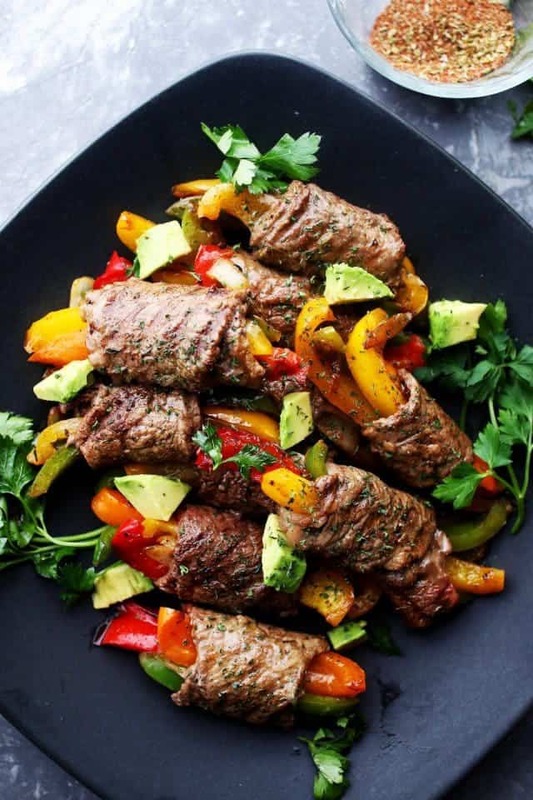 You will not miss the tortilla wrap for these steak fajitas. I also love the portion sizes of these fajitas. Overindulging in these will not leave you feeling guilty. Ordering Chinese food can be expensive and not healthy. 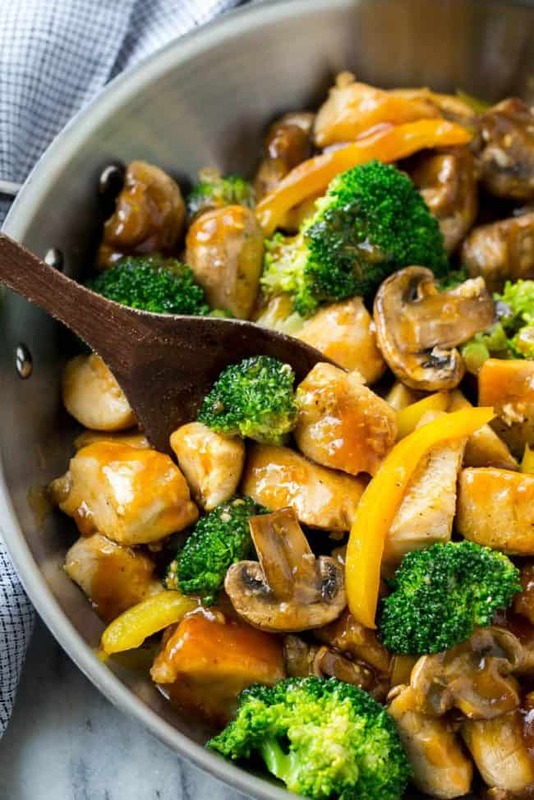 Making an at home stir-fry can feed that craving while making a healthy, cost-effective option. 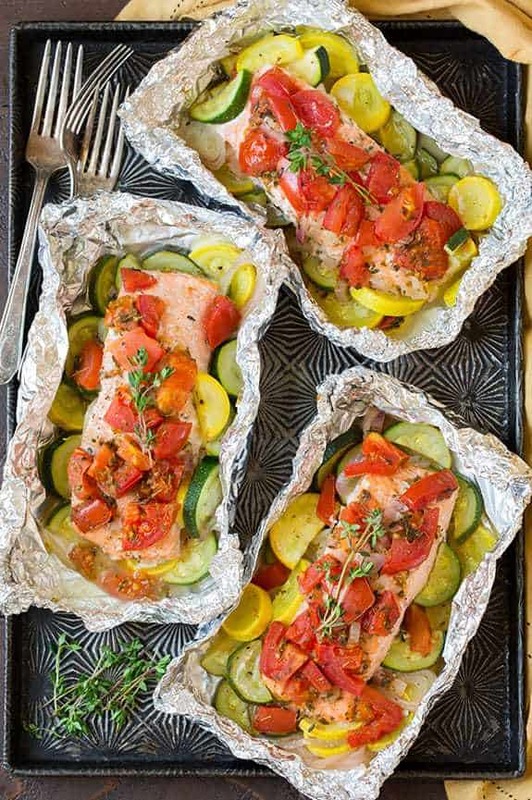 Foil dinner recipes are not just for the summer or camping. You can use them all year round. They make baking and clean up so easy. This Salmon low carb recipe looks so good! Instead of steak and mashed potatoes, change up the mashed potatoes to a mashed cauliflower. 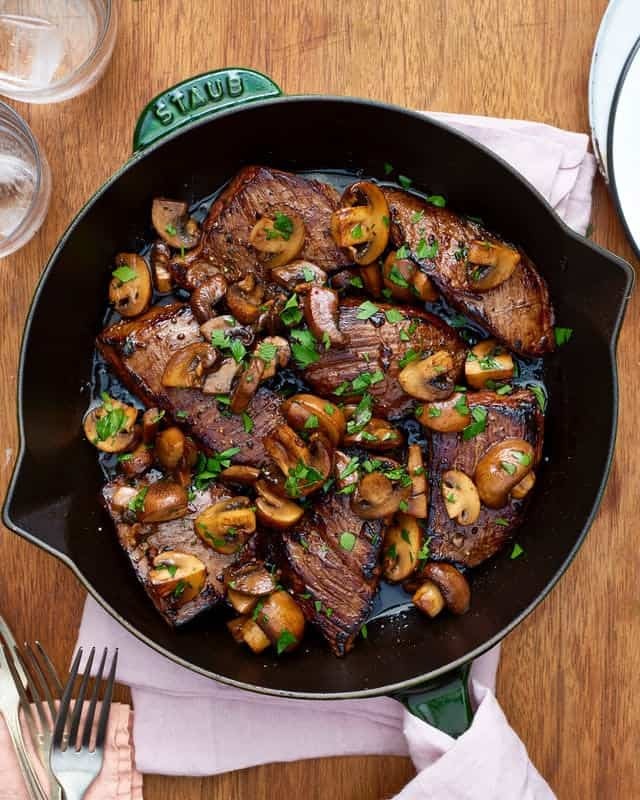 Cook up this steak and mushrooms and place them on top of the mashed cauliflower. You will enjoy it just as much, if not better! For Christmas a few years back we received a Veggie Noodle Maker where we can take any vegetable and turn it into a noodle. For low carb recipes, it is perfect to cut out the carbs in pasta and still enjoy our favorite pasta dishes. Give it a try! One of the most frequent carbs we LOVE is pizza! Who doesn’t? 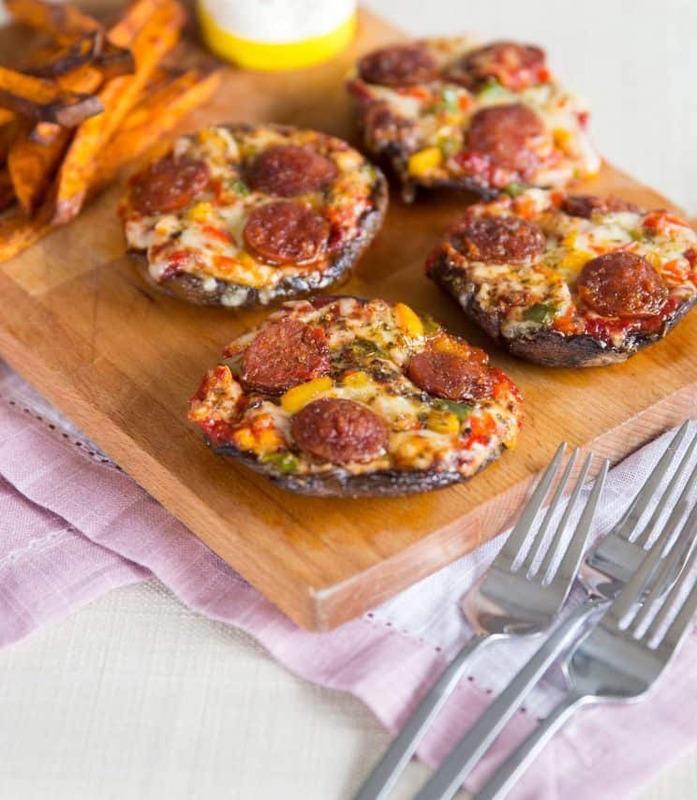 As you transition into eating low carb recipes, exchange pizza dough for a portobello mushroom. These individual pizzas look delicious and there is no harm in having more than 1 or 2. Nothing beats a casserole on a cold day. Many times those casseroles are filled with carbs! This recipe is great because it can be used for breakfast, lunch, or dinner. 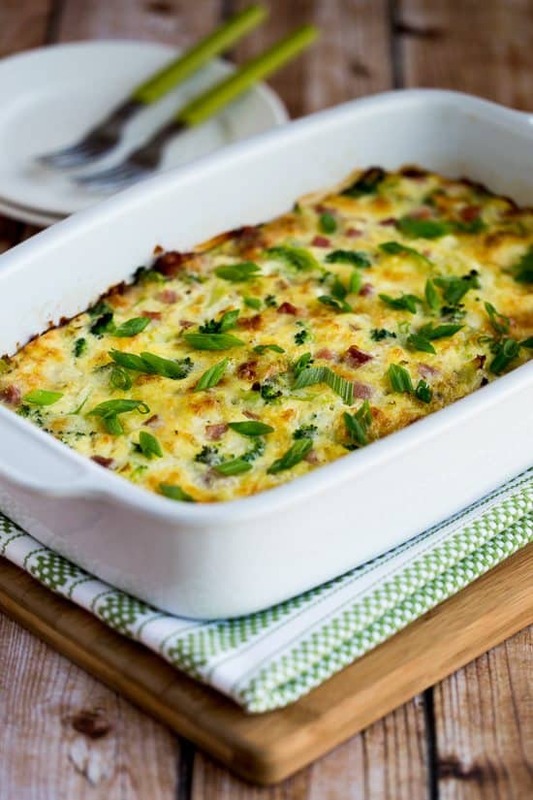 Try out this low carb recipe from Kalyn over at Kalyn’s Kitchen. 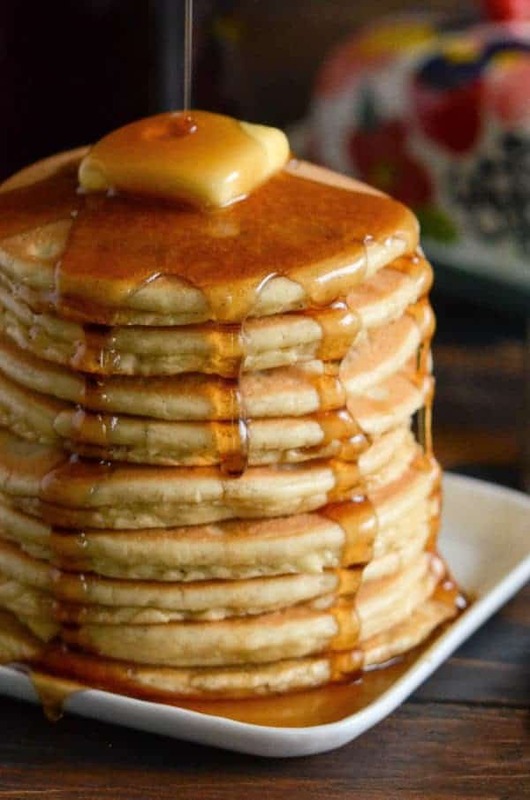 If someone would place this delicious stack of flapjacks in front of me, I would have no clue they were low carb! They look divine! Brunch does not have to be skipped to avoid those carbs anymore. If you are lucky enough to live near a Panera Bread, you know how out of this world their broccoli cheese soup is. 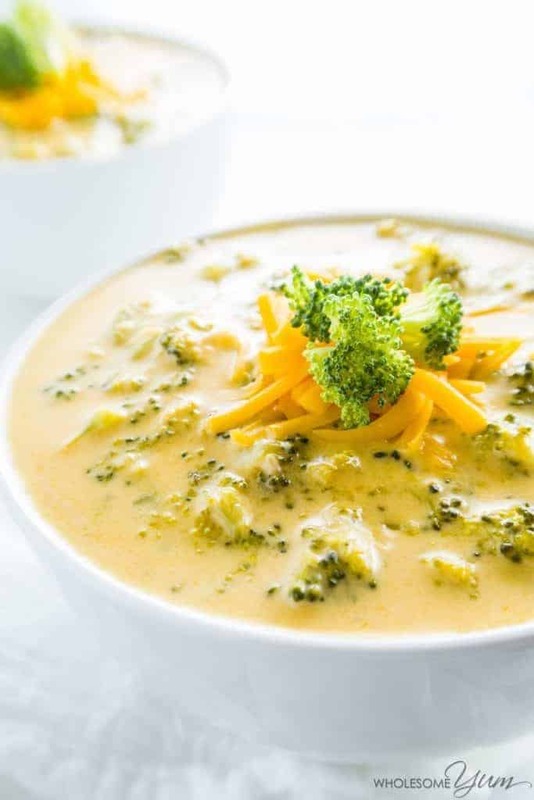 Get the same experience at home with this cheesy low carb soup. We love this low carb recipe chart and frequently refer back to it. It’s hard enough to cut out carbs but having a visual alternative makes it much easier. My Fitness Pal is a great website and app that helps you count your calories and lose weight. Last spring Kelan was able to lose 40lbs using My Fitness Pal and eating healthier options.